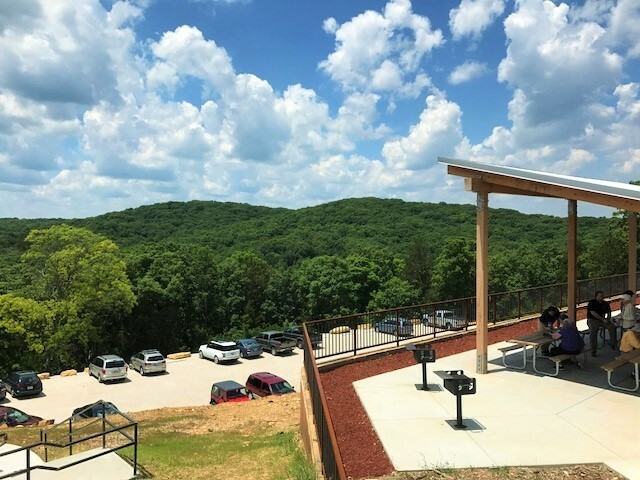 Mo State Parks Gets a Fantastic Addition! Don Robinson State Parks Opens to the Public! 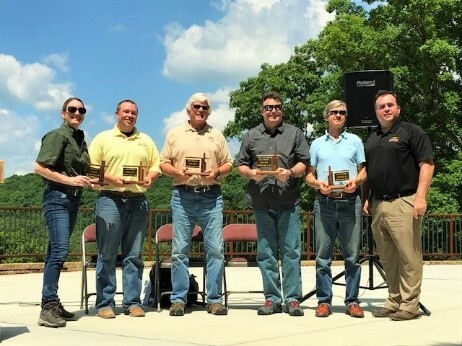 The Open Space Council attended the Dedication of Don Robinson State Park on June 2nd. 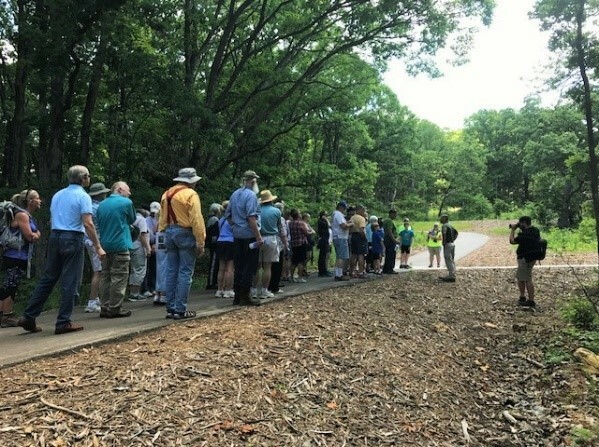 At the ceremony, attendees witnessed a ribbon cutting, learned about Don Robinson’s life and wildlife of the land, as well as joined together for a hiking tour of one of the park’s trails. Don Robinson obtained these vast and beautiful lands through the profits he made from creating and marketing the cleaning product called “Off”. He spent the latter part of his life expanding his property and living frugally in his small stone home built on the top of a hill, overlooking the Jefferson County forests (as pictured below). Don Robinson requested that his property be given to the Missouri Department of Natural Resources after his death, in hopes that his land can be enjoyed and appreciated by many others as well. The park has over 800 acres of land which contain a large variety of plant and animal life. There are over 650 species of plants and over 40 species of fish in the LaBarque Creek, which runs through the park. The Don Robinson State Park is unique for its sandstone canyons, caves, cliffs and more. The Open Space Council, as well as the other attendees, had the opportunity to observe some of these features during our hiking tour through one of their trails. 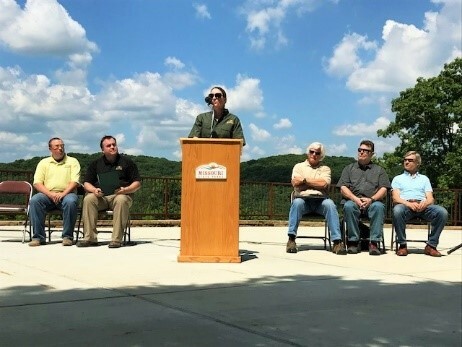 Don Robinson has generously left this land to us, as part of his legacy, for its beautiful hiking trails and picnicking shelters to be enjoyed by Missourians.